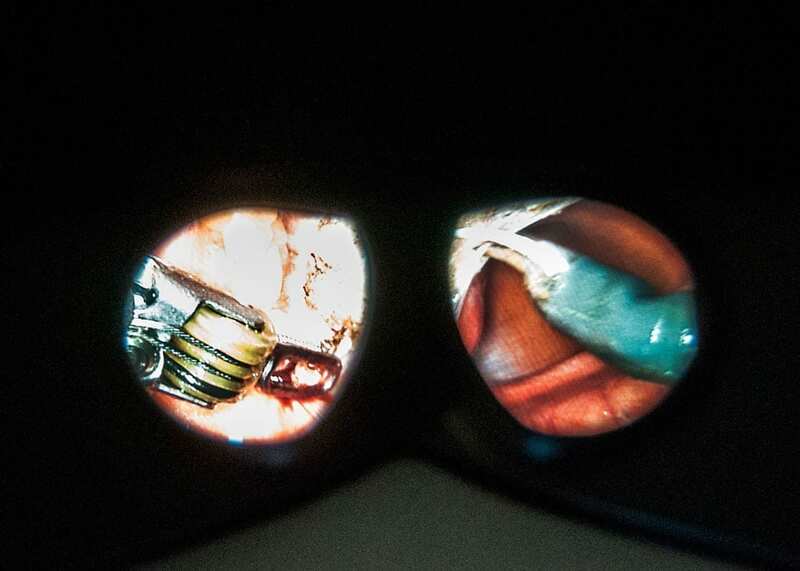 With its first training program for robot-assisted surgeons, the Air Force leads DOD and VA physicians into the future of medicine. A couple of years ago, when Air Force Maj. (Dr.) Joshua Tyler discovered a surplus in the research budget of his unit – the 81st Surgical Operations Squadron at Keesler Air Force Base, Mississippi – he asked his superiors if he could buy a robot. 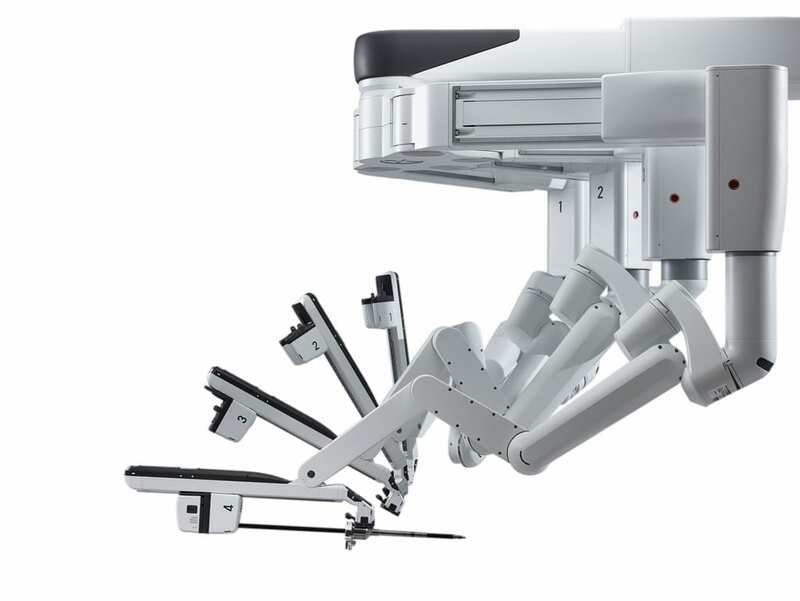 And not just any robot: a da Vinci Xi® surgical system, the most sophisticated of its kind, the fourth-generation version of the first and only robotic system approved by the Food and Drug Administration (FDA) for general laparoscopic surgery. Robotic surgical systems, first developed in the 1980s, are today used primarily to overcome the limitations of minimally invasive surgical techniques – which, by definition, limit the size of incisions and rely on precise placement and manipulation of an endoscope and surgical instruments. They’re also used to sharpen the capabilities of surgeons performing open procedures, such as a kidney removal or transplant. The costs and complexities of training on the da Vinci system comprised Tyler’s second reason for wanting the Air Force to have its own surgical robot. Becoming credentialed in robotic surgery begins with a computer-based orientation course, followed by a hands-on orientation, and finally surgeon-to-surgeon training in basic single-site or multi-port surgical skills. It’s a rigidly defined curriculum, and out of necessity, military and VA surgeons who’ve sought certification have traveled to training sites operated by the da Vinci’s manufacturer, Intuitive Surgical® Inc., to receive their instruction. Within Keesler’s Clinical Research Laboratory, Tyler and his colleagues established their training facility, the Institute for Defense Robotic Surgical Education (InDoRSE), for military and VA surgeons to become credentialed operators of the da Vinci system. It’s the first, and so far only, DOD medical facility to offer training with the da Vinci Xi, the latest and most advanced system. The InDoRSE is essentially a federal satellite of Intuitive’s Atlanta training facility, saving taxpayers about $3,000 per trained surgeon. So far, at a rate of about four per month, the facility has trained 41 surgeons from 21 different facilities across the DOD and VA, from among five different surgical specialties. “And those surgeons have gone back to their home hospitals and performed more than 200 robotic cases,” said Tyler. Last spring, a Keesler team performed the Air Force’s first robotic surgery, a ventral hernia repair conducted by members of the 81st Surgical Operations Squadron. A moveable cart with four mounted overhead arms. One arm is equipped with an endoscopic camera that’s been inserted into the patient through a small opening, while others are equipped with articulated or “wristed” instruments that can bend and rotate beyond the capability of the human hand. A vision system consisting of the endoscope, cameras, and a display offering a magnified, high-definition, three-dimensional view of the surgical site. A surgeon console, where the primary surgeon is seated and looking at a magnified view of the surgical site while operating the robotic arms. The system translates the surgeon’s hand movements electronically into scaled-down manipulations of the instruments, and is capable of filtering out any shaking or tremors for natural, steady movements. Make no mistake: Surgical robots are expensive. A single da Vinci system costs between $1.5 and $2.2 million, and its operation involves an annual service contract that’s usually in the low six figures. Many of the surgical attachments fitted to its arms are disposable, ranging in cost from $600 to $1,000 each – and a single procedure can use between three and eight separate instruments. The Stanford study calculated that robotic nephrectomies cost, on average, $2,600 more than conventional surgery. But Tyler, a published outcomes researcher, rejects the idea that robotic procedures take longer and cost more – and he’s not alone in his thinking. Studies making those assertions, he said, tend to rely on limited data and variables, such as a single procedure or time frame. The time it takes to perform a given procedure can vary widely based on the institution and where the surgeon is in his or her learning curve. Studies comparing the costs of robot-assisted and laparoscopic or open procedures often focus on operating room costs, and don’t factor costs over the continuum of the patient’s surgical stay. Tyler’s records of his own surgeries over the past few years, more than 200 open, laparoscopic, and robotic cases, reveal that his robotic procedures are associated with lower rates of surgical site infection and shorter hospital stays. Dr. Amir Bastawrous, a Seattle colorectal surgeon, has published data suggesting robotic surgery is actually faster and more cost-effective when the costs of the center’s overall care, and not just the operating room costs, are captured by the study. Over the longer term, significant differences in outcomes are more difficult to determine. A study of robotic and open prostate cancer surgeries, published in the journal The Lancet in the summer of 2016, found that patients who underwent the robotic procedure generally spend less time in the hospital – but there was no difference in urinary or sexual function among patients in a three-month follow-up. The key question – whether there’s a difference in cancer recurrence – may soon be answered in a two-year follow-up, but at least one comparison of open and robot-assisted prostatectomy, an investigation reported in European Urology in 2014, has suggested that the microscopic precision of robot-assisted cancer surgery may produce better longer-term outcomes. “Robot-assisted surgeries,” the authors wrote, “have fewer instances of cancer cells at the edge of their surgical specimen,” reducing the likelihood that those patients would need additional treatments. DARPA sponsored another investigation into medical battlefield robotics in 2005, an unmanned “trauma pod” designed to perform full scalpel-and-stitch surgeries on wounded service members in forward locations, but the project wasn’t completed, and many challenges remain for such an application. Up-front costs and limited mobility are the chief barriers to expanding the horizons of robot-assisted surgery within the military medical system. Interestingly, the da Vinci was born from a joint DARPA/NASA project in the 1980s, an effort to develop a “telesurgical” robot capable of performing surgery remotely on the battlefield or in other remote environments. One of the chief stumbling blocks for this application was latency – the delay between the surgeon’s actions and the robot’s responses – but information technology has since largely bridged this gap. In the famous “Lindbergh Operation” of 2001, a team of surgeons in New York, using high-speed telecommunications, performed a successful cholecystectomy on a patient in Strasbourg, France, with the use of a ZEUSTM surgical robot. It was the Army that initially sponsored, in 2002, the investigation of a less-expensive open-source surgical robot, now known as RAVEN, aimed at providing a more practical alternative to an expensive proprietary system. Based on freely available hardware designs and software, a more fully evolved RAVEN, or an open-source system like it, may someday result in a smaller, cheaper, more durable surgical robot that can be used in more extreme environments. This article was first published in the Veterans Affairs & Military Medicine Outlook Spring 2018 edition publication.